This year’s ADE (Amsterdam Dance Event) is set to be one of the biggest to date. With 2.500 artists performing between 17.-21. October, this is definitely the most diverse electronic music event in the world. In just 4 days, artists from 73 countries will perform at more than 140 unique locations in Amsterdam. To bring the global electronic music scene together, ADE made sure to include all the genres of electronic music into the events around the city. With almost 600 techno and 400 house artists, Amsterdam will transform into a favorite gathering place for electronic fans in the next few days. There are hundreds of electronic festivals around the world, and even though EDM takes the throne as the leading genre at most of them, ADE devoted only 11% of the line up to it. But the biggest surprise is definitely the small amount of the leading genre in the Netherlands – Hardstyle, with only 31 artists which make up only 1,5%of the overall lineup. Most of the artists are from the Netherlands (717) and from the UK (304). 10% are coming from Germany, and 7% are from the US and Italy. 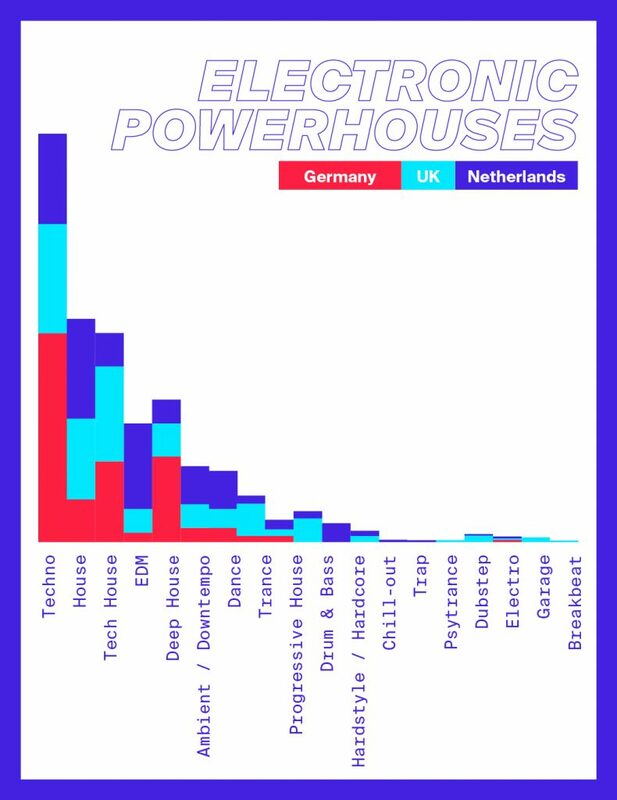 At first glance, it seems like the electronic powerhouses have a pretty similar taste when it comes to the genres of electronic music, but when you dig deeper into the numbers, there are huge differences between the sounds the countries prefer. 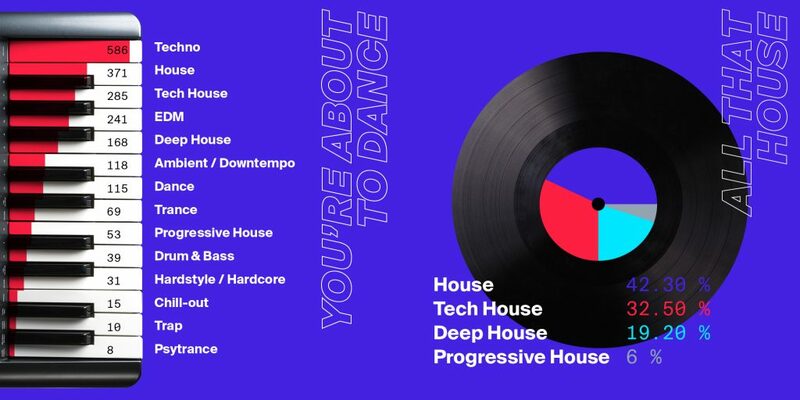 Although Techno is the most popular genre of German and UK artists, House is taking over in the Netherlands. EDM is the most popular amongst Dutch artists, while more than one-fourth of German artists have chosen Deep House rhythms. Artists from the UK are 5 times more into Drum & Bass and Trance than Dutch and German artists. Luckily ADE takes a great effort to give small and upcoming artists the opportunity to show their work on multiple events. You can find some of the great uprising artists such as French rising talent Simo Cell and Italian techno sensation Sante Sansone on the stages of ADE in the following days. The leading electronic event in Europe is definitely full of surprises. The biggest collaboration this year was brought by EDM superstar Alan Walker that teamed up with K-Pop star Seungri for a performance at Liquid nights, which will definitely put Asian EDM to the European map of electronic music. 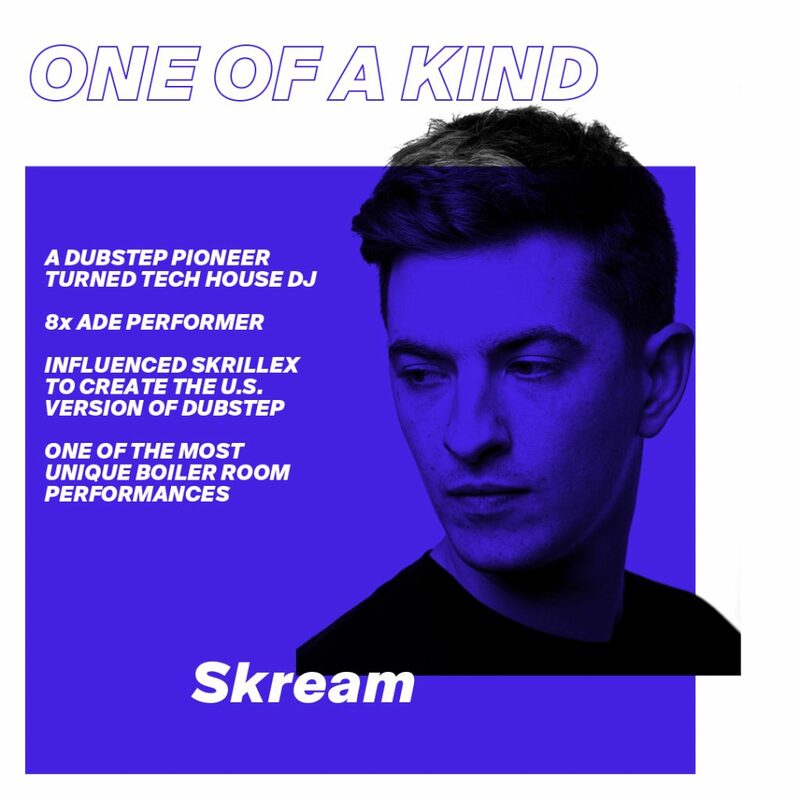 Meanwhile, a Dubstep pioneer Skream, an artist that inspired Skrillex to create the U.S. version of Dubstep, is a regular on ADE since 2012. Even though he made a huge shift from Dubstep to Tech House in 2014, he is still one of the most unforgettable live performers. Don’t know what we are talking about? Check his Boiler room performances. 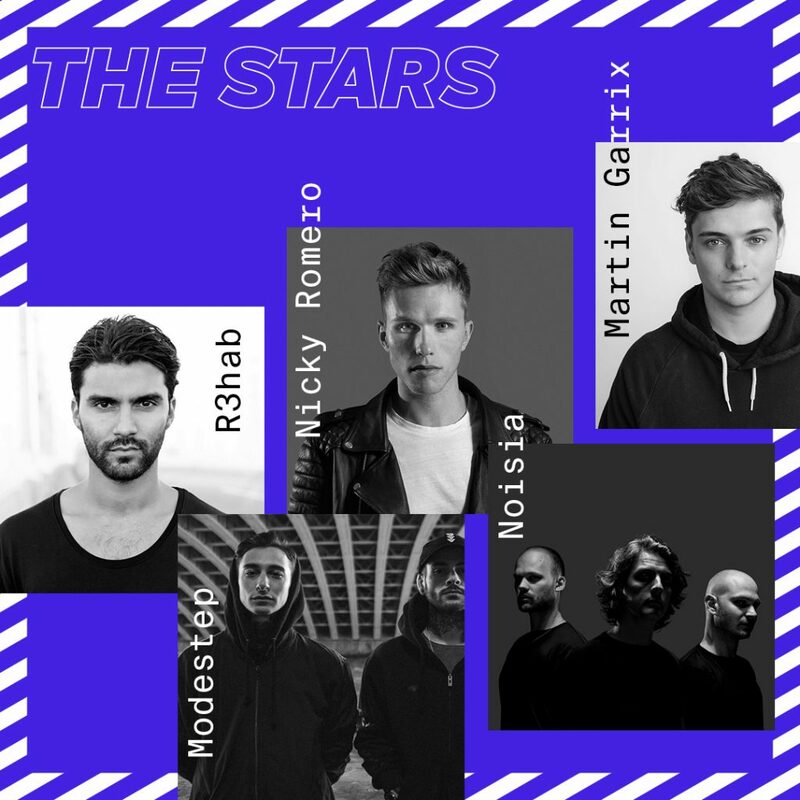 On the other hand, there will be at least 20 different occasions to feel the magic when the superstars from Top 100 Electronic Viberate chart will be on the stage. The world’s number one DJ – Martin Garrix is heading home and taking on Amsterdam Dance Event for the third year in a row with two live performances. 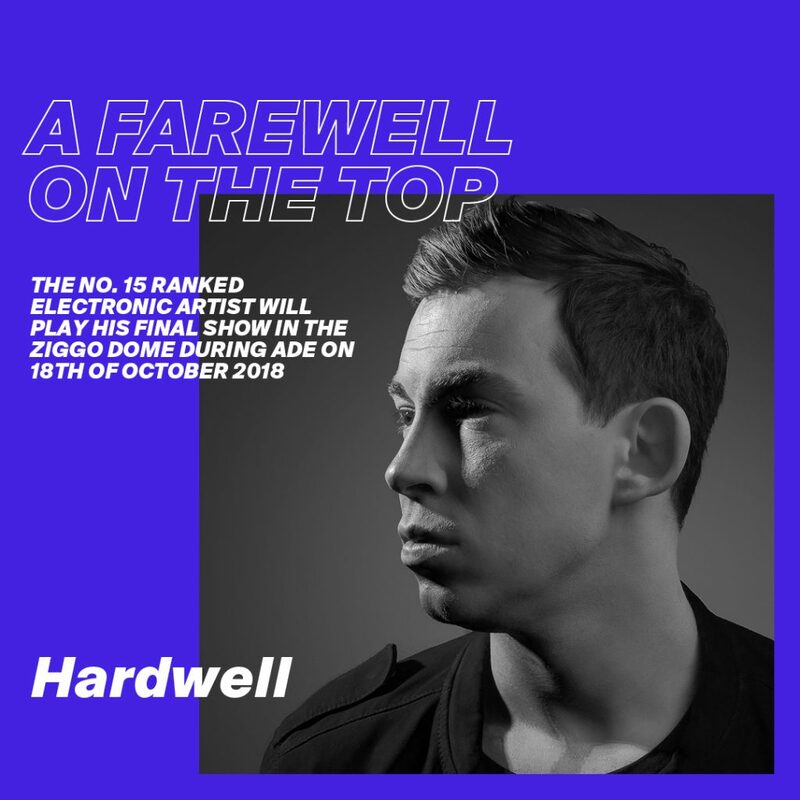 One of the highlights of this year’s ADE is definitely the FINAL LIVE show from the longest-leading #1 artists on the electronic scene Hardwell. While tickets for his last show at the Amsterdam Dance Event are sold out, fans who want to see the Dutch icon bow out can catch the concert via live stream on social media. If you want to get more insights about the music scene and discover the prediction of future trends make sure to get the exclusive access to the annual music report here.